The first trailer for Fantastic Beasts: The Crimes of Grindelwald has finally dropped and it is simply magical! The film is the second of a projected five-film franchise that is a spin-off from the incredibly popular Harry Potter series. The sequel to 2016’s hit movie Fantastic Beasts and Where to Find Them, Eddie Redmayne returns as magizoologist Newt Scamander as he undertakes a book tour to promote his newly-published manual. 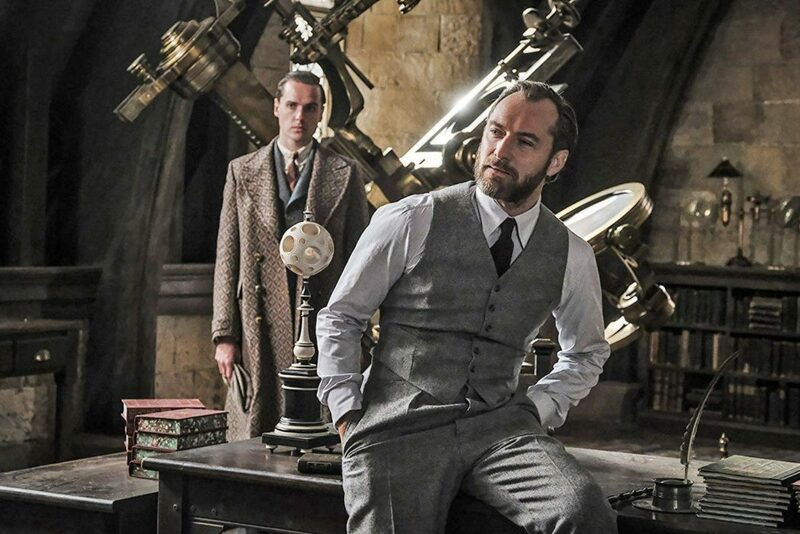 Directed by Harry Potter veteran David Yates, the man behind the first Fantastic Beasts and the last four Potter movies, Jude Law joins the cast as a young Dumbledore while Johnny Depp takes on the role of the powerful dark wizard Gellert Grindelwald. While the majority of fans were sent into a frenzy of excitement as they caught a glimpse of Law as a dashing Dumbledore, some noticed quite the glaring plot hole which naturally caused discussion on Twitter. Despite J.K. Rowling making it very clear in her books that no one can apparate into Hogwarts grounds except headmaster Dumbledore, in the trailer the Minister for Magic along with a group of men use this magical form of transformation at Hogwarts! As any decent wizarding student will know, the grounds of Hogwarts are protected by magic to prevent evil wizards such as Grindelwald from apparating into the school. Some fans argued that Fantastic Beasts takes place before Harry’s adventures and so the rule may not yet have been put in place. However, Rowling has said in the past that ‘the castle and grounds have always been protected with anti-apparition charms’ on her website Pottermore. Is there a mistake in the new Fantastic Beasts 2 trailer? You can’t apparate on Hogwarts grounds as seen at 10 seconds! J.K. Rowling help! This isn’t nitpicking. The inability to apparate within Hogwarts is an important plot device in nearly every book! Yawn, people keep boring on about the fact you cannot apparate within the grounds of Hogwarts, yet in the Fantastic Beasts trailer they do. Do you not think events that happened at Hogwarts led to a ban of apparating? A higher security for the protection of the school? Yawn, people keep boring on about the fact you cannot apparate within the grounds of Hogwarts, yet in the #FantasticBeasts trailer they do. It is not just the case of the mysterious apparition that has seen the film’s trailer draw criticism. 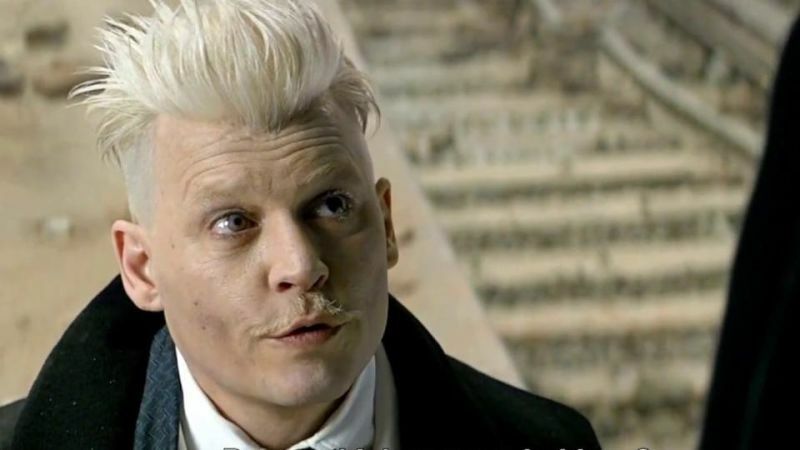 Much of the discussion around the sequel has focused on the controversial decision to keep Depp as Grindelwald, as seen in the footage, after he was hit with accusations of domestic violence by ex-wife Amber Heard. Unless the new #fantasticbeasts trailer features Johnny Depp regenerating into someone who isn’t an abusive piece of scum the first 10 seconds I don’t care. Harry Potter fans had legitimate questions and concerns about our choice to continue with Johnny Depp in the role. As David Yates, long-time Potter director, has already said, we naturally considered the possibility of recasting. I understand why some have been confused and angry about why that didn’t happen. The huge, mutually supportive community that has grown up around Harry Potter is one of the greatest joys of my life. For me personally, the inability to speak openly to fans about this issue has been difficult, frustrating and at times painful. However, the agreements that have been put in place to protect the privacy of two people, both of whom have expressed a desire to get on with their lives, must be respected. Based on our understanding of the circumstances, the filmmakers and I are not only comfortable sticking with our original casting, but genuinely happy to have Johnny playing a major character in the movies. Fantastic Beasts: The Crimes Of Grindelwald hits UK cinemas on November 16.